I think you want to mass change old URLs in website database after migration. You can do it either by using plugin or manually. Install and activate Velvet Blues Update URLs plugin. Head to Tools > Update URLs. Insert the old site address in the Old URL field. Insert the new site address in the New URL field. Check the boxes in front of URLs in page content, URLs in excerpts, URLs in links, URLs for attachments, and URLs in custom fields and meta boxes. Finally, click on Update URLs NOW button. You will find the details of the manual methods right here. Automate post update for all posts? Update content of multiple pages/posts at once? 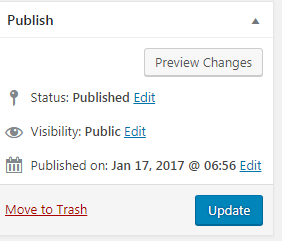 How to update all post at once?